It’s been a busy month at H+K. Here’s what we we’ve been up to in October. The HSBC team were in Shanghai this month for the annual World Golf Championships – HSBC Champions golf tournament. A combined team featuring H+K team members from the London, Middle East, Shanghai and US offices worked across time zones as well as on the ground in Shanghai to ensure this was once again a hugely successful tournament for HSBC. 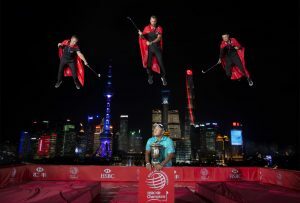 The highlight of the week every year is the tournament photocall, where some of the world’s best golfers are invited to celebrate the launch of the tournament, in more and more creative ways. 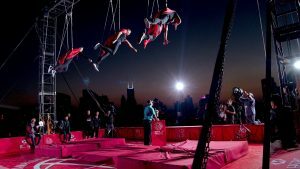 This year, the tournament continued its superheroes theme, intended to celebrate the incredibly talented field as well as be attractive to new fans, particularly in Asia. H+K conceived and then executed a photoshoot that featured Dustin “The Heat” Johnson, Henrik “The Machine” Stenson and Haotong “The Force” Li hovering over Hideki “The Mountain” Matsuyama shot by notable local photographer Li Wei. The image was distributed to media, delivering strong coverage from top tier targets in China and across the world. The photo call also featured heavily on social media across HSBC and partner channels. The team also produced a behind-the-scenes film of the photo call used across social and broadcast channels. It was a packed week for the team, with activity taking place throughout the tournament. Aside from the ongoing press office, copywriting and social publishing support taking place all week, some of the other activates run by the team included a coaching clinic featuring European Ryder Cup captain Thomas Bjorn and Chinese Golfer Wu Ashun, a ‘Superhero Boot Camp’ activation for fans in Shanghai to test their own skills and filming with seven time winner on the PGA Tour Matt Kuchar for a film about his love of table tennis. It was a brilliant week for the team that had an enthralling finale, with Britain’s Justin Rose making a late charge to win the tournament. It gave the team another opportunity to demonstrate their reactive publishing, producing an animated film of the winner Justin Rose that continued the superhero theme and went out across HSBC channels. Having launched Sainsbury’s #HelpUsHelpThem campaign in aid of the Royal British Legion and PoppyScotland with ambassador Helen Skelton, the CPG team decided to get involved and raise some money for these two fantastic charities with the help of the whole company. 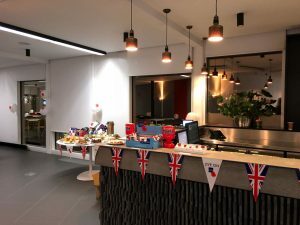 On the eve of London Poppy Day the team hosted a pub quiz and bake sale where H+Kers could compete to be reining Pub Quiz champion. With a strong turnout of eager quizzers, the evening was a huge success. Donations were still stacking up on Thursday with poppy pins available at the bar. The Royal British Legion and PoppyScotland support the thousands of families that help make up the 6.7 million people in the British Armed Forces community in whatever way they need. 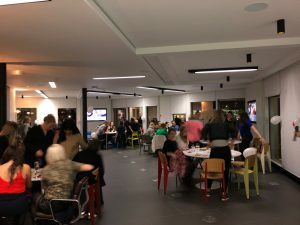 Money raised will enable the charities to continue to provide vital services to serving Armed Forces personnel, veterans, and their families includin; recovery, respite breaks and money and careers advice. Thanks to everyone who got involved! Last week the Energy + Industrials team attended the Oil and Gas Climate Initiative’s annual stakeholder dialogue event, where CEOs of some of the world’s biggest oil and gas companies and leading industry VIPs came together to discuss how to tackle climate change in the sector. Along with managing media attendance and a busy interview schedule for nine CEOs, the team also produced a video for the group and live tweeted from the event. The H+K Smarter team is now working with multiple clients to get ready for the GDPR regulations, which take effect in May. 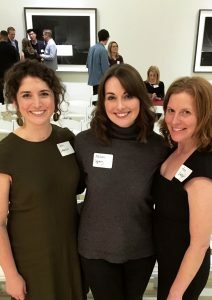 They have applied insights from behavioural science to generate evidence for the most effective ways to nudge customers and clients to opt-in to receive marketing communications. For more info check out our blog.